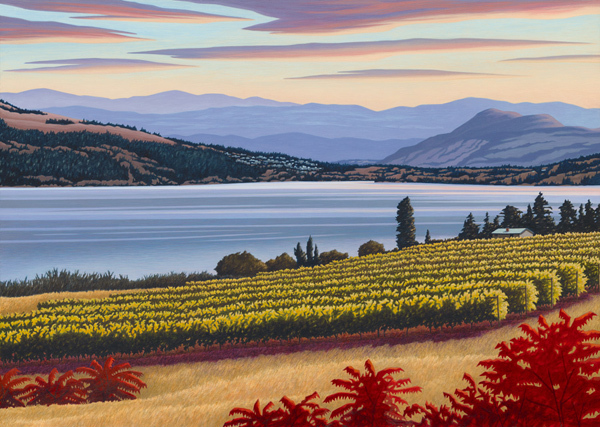 Okanagan Artist, Mal Gagnon, Kelowna, B.C. Mal Gagnon is a representational Canadian painter working in watercolor and acrylic. 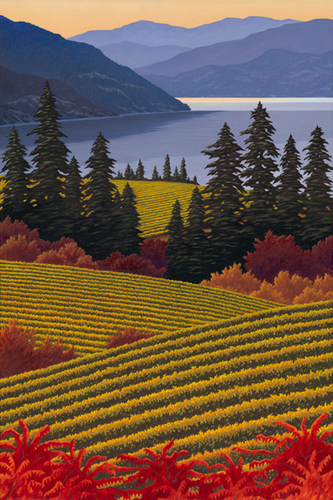 Local Okanagan Valley subjects include landscape, waterscapes, vineyards, Okanagan golf art, lake scenes, street scenes, and sunsets. Born in Vanguard, Saskatchewan he received his formal art training at the Alberta College of Art in Calgary, Alberta majoring in advertising Art. In 1988 he moved to the Okanagan. 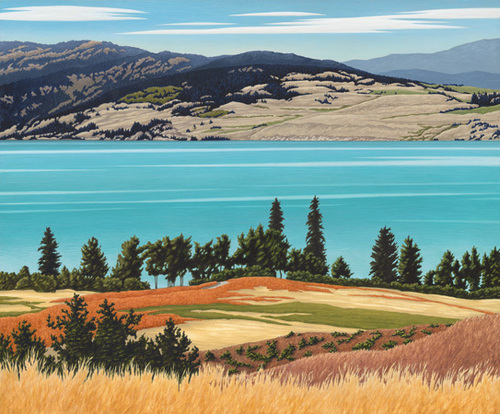 His popular detailed painting style has led to many privtate and corporate commissions among which include mining companies, financial institutions, insurance companies, golf clubs, wineries and real estate. 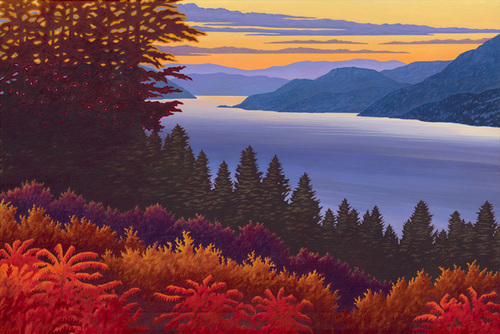 In 2002 he relocated his studio to the Rotary Centre for the Arts in the heart of Kelowna's Cultural District. The Centre's working studio concept encourages the public to visit artist's studios and see first hand how art is created. This has proven to be a very educational and enlightening experience for all that visit the studios. 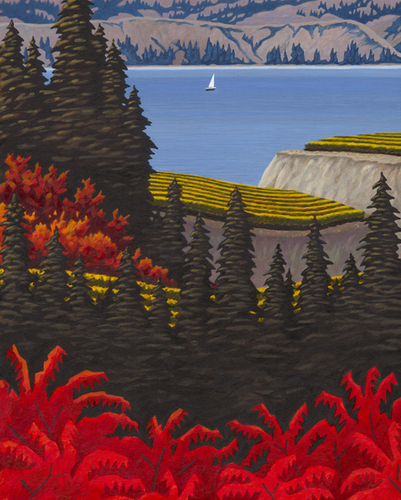 Mal Gagnon's art is available as original art, Limited Edition and Giclee Prints and Art Cards.